This trip combines the grandeur of touring the Scottish highlands with making ceremony to the land, working with ancient Celtic spiritual forces, honoring ancestors and filling our lives with a once-in-a-lifetime experience. An overnight flight from Minneapolis to Glasgow through Reykjavik, Iceland. We’ll explore sacred realms in stunning landscapes: mountain, caves, waterfalls, ocean and forest. 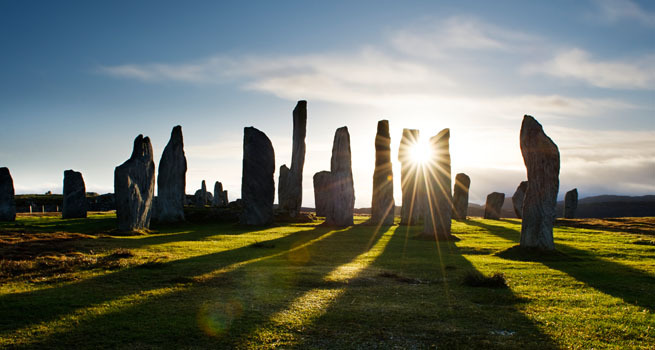 The trip will culminate with a mythic water-crossing to the Isle of Lewis to spend the autumn equinox at the Standing Stones of Callanish – erected 2,000 years before Stonehenge.